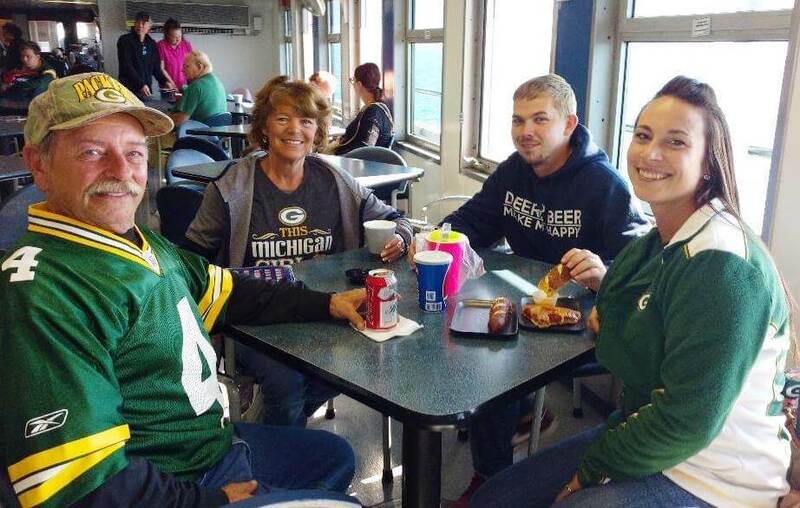 Even folks who aren’t driving vehicles are walking onboard the S.S. Badger Lake Michigan Car Ferry just to enjoy the ride. Located in Ludington, Michigan, the Badger carries passengers and vehicles from Ludington to Manitowoc, Wisconsin, and vice versa. The relaxing four-hour, 60-mile cruise takes passengers, autos, RVs, motorcoaches, motorcycles, bicycles, and commercial trucks across Lake Michigan. But the Badger is much more than just a way to get from point A to point B. Contained within those areas are two eateries, cocktail service, free bingo, free games, an area with some maritime artifacts, movie lounge, game room and kids’ playroom. Private staterooms are available for rent and there is seating throughout both interior and exterior. 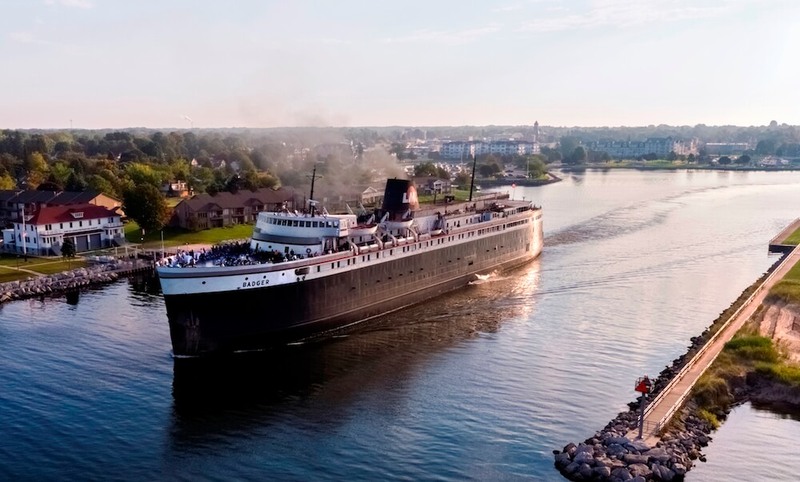 For passengers who just want to cruise, the S.S. Badger offers discounted “mini-cruise” rates that allow passengers to ride across Lake Michigan without a vehicle and return within 48 hours. Passengers enjoy a cruise on the S.S. Badger. For more information on S.S. Badger, call 800-841-4243 or go to ssbadger.com.